Hi friends hope all going well, Today we will learn how to flash Asus ZenFone Go X003 using Qualcomm Flash Image Loader (QFIL) to solve the software issue on the Asus phone. If the phone has hanging problem or working slow or shows unfortunately Google stooped or all other applications not working well then you need to flash or upgrade the phone to solve the issue. To flash the Asus X003 you need to have the Asus X003 flash tool, Asus X003 flash file (tested) and Asus X003 USB driver or X003 flashing driver for Windows Computer. 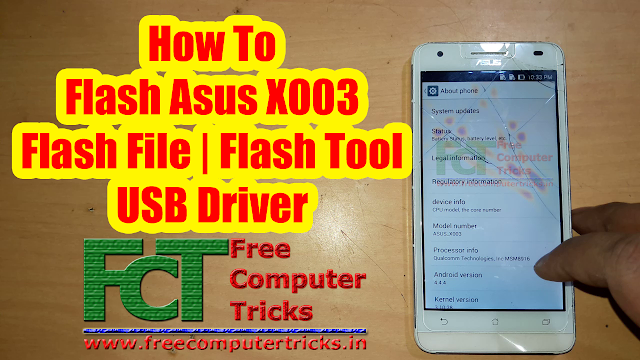 Let's start, here you can get the Download link of Asus X003 tested firmware along with that you can also download the Asus Zenfone Go flash tool and to flash the phone you need to install Qualcomm flashing USB driver called Qualcomm HS-USB QDLoader 9008 COM Port Driver, so this driver can also download it from here. 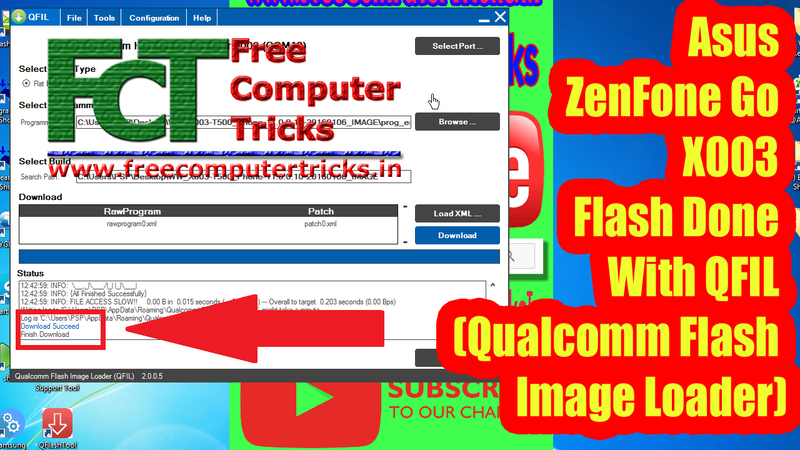 This is the all in one topic or tutorial for Asus ZenFone Go X003 where you get the flash tool, flash file and USB driver. Please go through the below topic to get the Asus firmware download link, with USB driver and flash tool. How To Flash ASUS X003? Asus X003 After Flash NO IMEI ? After flashing using QFIL, the software issue of the Asus X003 must be solved but you may face no IMEI or IMEI Null on the phone and as you know it's not a big issue, because you can repair Qualcomm IMEI using Miracle box or any other Mobile flashing box supports Android Qualcomm IMEI repair.